BURBANK, CA (May 22, 2017) – Unlock the mysteryand dive into small town secrets as Warner Bros. Home Entertainment releases Riverdale: The Complete FirstSeason on DVD on August 15, 2017. Premiering with2.4 million viewers, The CW’s top new show across all major demos* is created by Roberto Aguirre-Sacasa(Glee, Big Love), produced by Greg Berlanti (The Flash, Supergirl, DC’s Legends of Tomorrow, Blindspot), and stars KJ Apa (Shortland Street), Lili Reinhart (The Kings of Summer), Camila Mendes (Randy Doe), Cole Sprouse (The Suite Life of Zack and Cody), Marisol Nichols (Big Momma’s House 2), Madelaine Petsch(The Curse of Sleeping Beauty), Ashleigh Murray (Deidra & Laney Rob a Train), Mädchen Amick (Twin Peaks), and Luke Perry (Beverly Hills 90210). Roberto Aguirre-Sacasa is also an executive producer, along with Sarah Schechter (Arrow, Blindspot, DC’s Legends of Tomorrow), and Jon Goldwater (Publisher/CEO, Archie Comics). The release contains all 13 grippingepisodes from the first season, and includes new bonus content, and never-before-seen deleted scenes, and a gag reel. 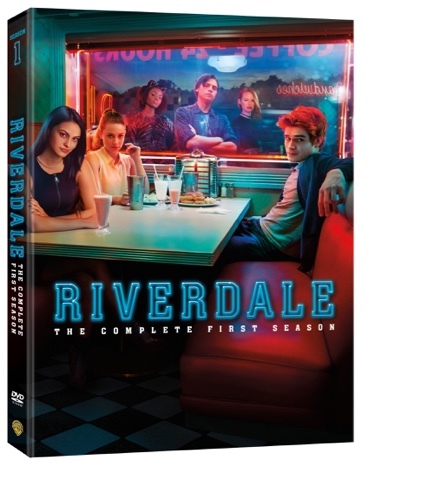 Riverdale: The Complete First Season is priced to own at $39.99 SRP. Riverdale: The Complete First Season is also available to own on Digital HD via purchase from digital retailers. 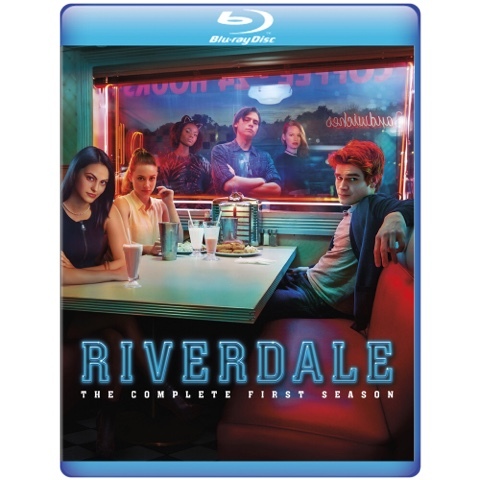 Riverdale: The Complete First Season will also be available on Blu-rayTM courtesy of Warner Archive Collection. The Blu-rayTM release includes all bonus features on the DVD and is also arriving August 15, 2017. Warner Archive Blu-ray releases are found at Amazon.com and all online retailers. Based on the characters from Archie Comics, Riverdalegives a subversive take on small-town life. Things aren’t always what you expect in Riverdale. As a new school year begins, the town is reeling from the tragic death of high school golden boy Jason Blossom. The summer’s events made all-American teen Archie Andrews realize that he wants to pursue a career in music, but his fractured friendship with Jughead Jones, and Josie McCoy’s focus on her own band leaves Archie without a mentor. Meanwhile, girl-next-door Betty Cooper is not ready to reveal her true feelings for Archie, and new student, Veronica Lodge, has an undeniable spark with Betty’s crush. And then there’s Cheryl Blossom, Riverdale’s queen bee, who stirs up trouble amongst Archie, Betty and Veronica. But is Cheryl hiding something about the mysterious death of her twin brother, Jason? Riverdale may look like a quiet, sleepy town, but there’s so much more to the story. “Riverdale is full of nostalgic Archie elements, but this all-new series brings viewers mystery, seduction, and corruption; and would probably make the original gang blush," said Rosemary Markson, WBHE Senior Vice President, Television Marketing. "We’re thrilled to offer fans this dark, subversive pleasure – along withexclusive DVD and Blu-ray bonus content - just in time for the second season premiere on The CW."